There are more species of rattlesnake slithering around western North America than previously thought. That's the conclusion of a new study conducted by University of Arkansas biologists Michael Douglas and Marlis Douglas and their colleagues at the University of Illinois at Urbana-Champaign and Western Kentucky University. The researchers published their findings in the journal PLOS One. The scientific and standard English names will be submitted to the International Committee on Zoological Nomenclature for ratification. The study has important implications for ecological conservation efforts across the United States, said Michael Douglas, professor of biological sciences and Twenty-First Century Chair in Global Change Biology. "These snakes have been long been recognized by herpetologists as being demonstrably different, and in fact were designated as western rattlesnake subspecies in the first half of the 20th century," Douglas said. "None are currently considered rare, but species designation allows them to gain certain legal protection, particularly within individual states." Marlis Douglas, associate professor of biological sciences and Bruker Chair of Life Sciences, said the genetic data were also evaluated to identify these snakes as individual species. The Douglases collaborated with Mark Davis, research scientist at the Illinois Natural History Survey, part of the Prairie Research Institute at the University of Illinois, and Michael Collyer, associate professor of biology at Western Kentucky University. 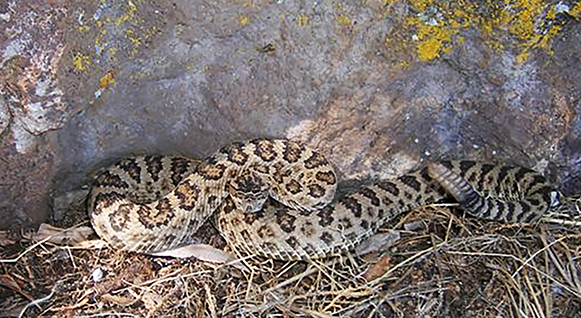 As part of his doctoral research, Davis collected data from nearly 3,000 western rattlesnakes available in natural history museums across the western United States. In addition to genetic traits, the team examined head shape, which can vary drastically between different species of snakes and potentially reflect what kind of prey the snake prefers.